September 18 – 20 and September 25 – 27, 2011. The crisp autumn days that bring Mother Nature’s annual display of spectacular fall foliage are just around the corner. Since this is one of the most popular times for visitors to the New England region, it’s not too early to plan a visit. One of the best ways to enjoy the beauty of the fall season is with the Inn to Inn Autumn Hiking Adventure from the Rosewood Country Inn and Candlelite Inn in the Lake Sunapee region of New Hampshire. This package offers the quintessential New England experience combining gracious hospitality, welcoming accommodations, magnificent scenery and hearty country meals. The two night package is available for September 18 – 20 and September 25 – 27, 2011. The adventure begins at the award-winning Rosewood Country Inn where guests will have a brief orientation followed by a delicious four-course dinner. In the morning they'll enjoy a hearty three-course breakfast before heading out on their journey. Led by a seasoned guide who will share his knowledge about the history and lore of the Sunapee area, guests will hike along the peaceful forest trails between the two inns. The guided hike is about 3 miles, along a fairly easy trail and is suitable for beginners. Along with leaf peeping, hikers will also have an opportunity to spot some of the wildlife that is found in the woods, including deer, wild turkey and even moose. The hike will take approximately 3 hours, which includes a stop along the trail to enjoy a backpack lunch prepared by the innkeepers. Upon arrival at The Candlelite Inn, guests can relax and enjoy a hearty dinner to end their day. In the morning, they’ll be served a delightful three-course breakfast and afterward can enjoy a quiet morning before departure, or spend some time exploring the Lake Sunapee area with some antiquing, shopping or apple picking. To book this package, call the Rosewood Country Inn at 800-938-5273 or e-mail rosewoodinn@tds.net. 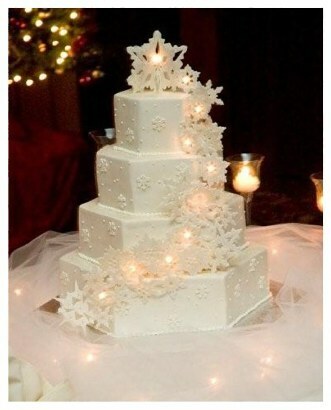 Plan a "Winter Wonderland" Wedding! Inclement Weather Depending on your wedding location, winter weather can be particularly hairy. If so, don’t force your guests to walk too far or spend considerable time outside. Dress the wedding party (including yourself) in seasonably warm attire. Holidays Remember that the action-packed holiday season and higher travel costs make it potentially inconvenient for guests to attend a December or early January wedding, but because many people are off between Christmas and New Year’s, a midweek wedding could work. Either way, book your date and spread the word early.